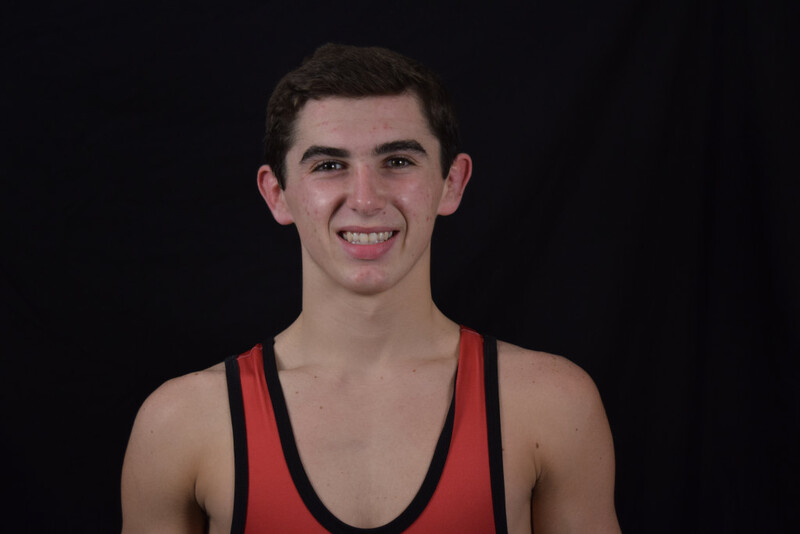 New Palestine senior Alec White is a four-time State Finals qualifier in wrestling, as he clinched his trip to Bankers Life Fieldhouse in overtime at the New Castle semistate. White finished as the semistate runner-up, going 3-1 on the day. He heads into the State Finals with a 35-1 record. White went into the day needing to win two matches to clinch the State Finals spot. In the opening round, he pinned Batesville’s Michael Deal in 1:55. In the second round, he and North Central’s Brailen Harrington were tied at 1-1 after six minutes. The first one-minute overtime yielded no points or takedowns, so they went to the tiebreaker. In the first 30-second tiebreak, White started in the down position and reversed Harrington. The North Central wrestler got an escape to make it 3-2. White then rode out Harrington in the second 30-second session to maintain the 3-2 lead and clinch the victory. White had another thriller in the semifinal round. He beat Dallas Pugsley of Shenandoah 7-6 in a back-and-forth match. White led 2-1 after a period with an early takedown, then scored a reversal to start the second to go up 4-1. Pugsley ended the second and started the third with back-to-back reversals to go up 5-4, but White recorded an escape and a final-minute takedown. He surrendered an escape in the closing seconds to clinch a spot in the title match. In the title match, he fell 6-3 to Cathedral’s Jordan Slivka. White surrendered a first-period takedown and a second-period escape. In the third, Slivka had an early takedown to go up 5-0. White responded with a reversal, allowed an escape, and then drew a penalty point to close to 6-3 before the final buzzer. Next week, he will wrestle on Friday night in the opening round of the State Finals at Bankers Life Fieldhouse as one of the 16 men left standing in the state. Landan Burton was the Dragons’ other representative at the semistate. The junior had an impressive comeback against Cathedral’s Andy Guhl, but lost by a 7-6 decision. Guhl had two takedowns in the first period to take a 4-1 lead. In the second, Guhl extended the lead to 5-1, but Burton got an escape and a takedown to cut the deficit to one, then got another escape to tie the match at 5-5 early in the third. Guhl had a late takedown to win. Burton finishes his junior year 30-5. He is a three-time semistate qualifier. Senior Alec White punched his State Finals ticket at Saturday’s New Castle semistate.